Two pieces of recent research shed light on why demand for rental property in Brixton is outstripping supply. As letting agents in Brixton and Battersea, Eden Harper is working with landlords in both areas to help tenants save more than £30,000 every year. A study by Zoopla – the website that lists every property that Eden Harper has for sale and rent – confirms what Londoners have known for a long time: It’s cheaper to rent a home in the capital than buy one. Zoopla’s research shows that tenants in London pay an of £2,218 per month for a home compared with an average mortgage repayment of £3,302. The calculations are based on a two-bed home that purchasers are repaying a 90% mortgage over 25 years at 4.5% - the best buy Zoopla could find. With the average value of a two-bed property in Battersea now standing at £968,153, tenants in this area, which is particularly popular with young professionals and new families, can save themselves even more money. Not only do tenants not have to fork out a mortgage payment of £4,841 each month, they avoid paying the £40,565.30 stamp duty bill that comes with a £968,153 home. Tenants in Brixton get an equally good deal. Here at Eden Harper, we have recently helped a landlord rent out a three-bed property in Homewood Gardens, Brixton Hill, for £2,340 per month. While rents in Brixton have increased to match demand for homes in this part of London, which is becoming increasingly popular because it is on the Tube network, it remains a rare pocket of affordability. A new version of the iconic Tube map has been published showing the average rent being paid for a one-bed flats within 1km of each station on the Underground. Brixton comes in at £1236, which is significantly less than the £2920 per month being charged for a similar property in Hyde Park Corner and more affordable than rents being charged in Clapham Common (£1348), Elephant & Castle (£1472) and Fulham Broadway (£1564). There is more good news for both tenants and landlords. A recently-introduced piece of legislation makes it illegal for letting agents to include hidden charges in their fees. Section 83 of the Consumer Rights Act 2015, which came into force at the end of May, gives letting agents no option but to make clear exactly how much landlords and tenants will pay before they enter into any form of contract or agreement. The description of each fee must enable the person who is liable to pay it to understand the service or cost that is covered by the charge or why it is imposed. All fees, charges and/or penalties must be quoted inclusive of VAT. Fees, charges and/or penalties must be displayed prominently at all premises where agent deals face-to-face with potential and actual tenants and landlords and in full on the agent’s website. Surcharges and hidden fees must not be used. It must be clear whether the charge is per property or per tenant. If the fee cannot reasonably be determined in advance, how it will be calculated must be clearly explained. There should be no duplication of charges between tenants and landlords, although it is acceptable to split charges between those parties when this is clearly explained in relation to the total cost of the specific service. Letting agents in England must publicise their Property Ombudsman membership, if this is their chosen redress scheme, through their website, office documents, window display, terms of business and fee list plus any client money protection scheme membership. Eden Harper has spent years developing good relationships with landlords and tenants. As well as making our fees clear, our membership of the National Approved Letting Scheme gives our clients extra reassurance that we have professional standards to meet and that we will deliver the level of service we promise. 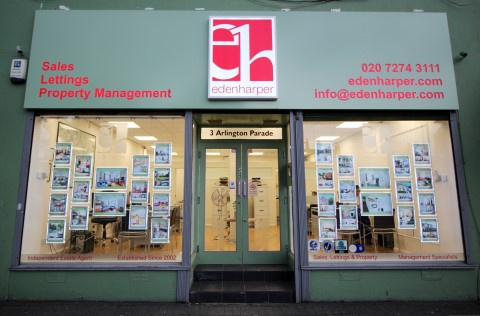 If you have a property in Brixton or Battersea to let, or are seeking to rent a home in either area where Eden Harper has an in-depth knowledge of the market, contact us now before the festive season gets into full swing.